EghtesadOnline: Volatility once again reigned in the Iranian stock markets during the last week. Indices went sky-high with a news and nosedived at another. All in all, the good news and the bad news seem to have cancelled each other out, as TEDPIX and IFX did not end the week at a position much different from their starting one. Tehran Stock Exchange's all-share index, TEDPIX, gained 562 points or 0.4% during the week that ended on Aug. 29 to close at 137,472.4. 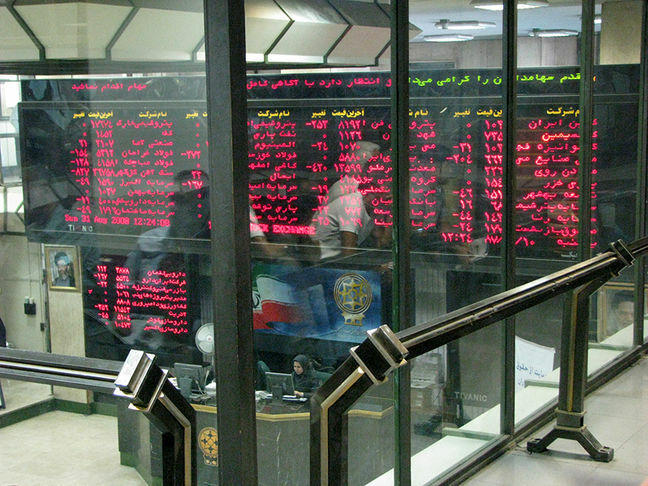 Iran Fara Bourse’s benchmark index, IFX, inched up 3.09 points or 0.19% to stand at 1,556.36, Financial Tribune reported. National Iranian Oil Refining and Distribution Company published a letter on Saturday, announcing that its products were to be priced in the mercantile exchange on the basis of the Secondary Forex Market. The IME prices are set based on formulae that include the forex price. Prior to the letter, the products were priced on the basis of the subsidized exchange rate (42,000 rials) for the US dollar–well below rates negotiated in the secondary market. The news was taken as harbinger of change in pricing and a sign that other products (including petrochems and base metals) would follow suit. Speculations led to the 4,000-point rocket in TEDPIX in the two days that followed, Sunday and Monday. However, NIORDC backed down from its decision on Monday, announcing that the products would be offered at the subsidized rate, causing the market to bleed heavily. The shedding was not limited to oil products, as the loss of trust seeped into other flagship industries, namely petrochemicals and base metals, causing them to lose significant points on Tuesday as well. President Hassan Rouhani was summoned by parliamentarians on Tuesday. Over the course of the session, five questions were posed to the president, the answers to four of which were deemed "unconvincing" by MPs. This, added to the fact that Masoud Karbasian had been impeached as Minister of Economic Affairs and Finance on Sunday, led to the further reluctance of capital holders from investing in the stock market. Political upheavals play a significant role in the attractiveness of the stock market. As two of the ministers have failed to get the vote of confidence and plans are in motion to initiate the impeachment of another two, it is more than natural for the markets to reflect the political uncertainty. Despite the general unrest in the market over the week, certain industries ended trading with tangible gains. The increase in the prices of urea and methanol led to petrochems ending the week with gains, despite being hit by NIORDC's move. And, as the big names struggle to keep their ships afloat, smaller industries such as pharmaceuticals and cement producers are on a nine-day winning streak due to their versatility in sales and exports, as well as not being encumbered by government-enforced dollar prices. This is while the pharma industry was at a two-year low before the streak started. Tile and food producers also experienced solid gains in the week. Over 11.64 billion shares valued at $348.85 million were traded on TSE last week. The number of traded shares dropped by 24%, while trade value increased by 4% compared to the week before. TSE’s First Market Index gained 487 points or 0.5% to end at 101,291.4. The Second Market Index increased by 766 points or 0.28% to close at 273,726.5. The price index went up 70 points or 0.2% to settle at 40,210.9, while the industry index went up a meager 37 pints to end the week at 125,122.4. TSE Free Float Index gained 1,700 points or 1.2% to settle at 146,399.1. TSE top 30 and top 50 lost 71 (1.0%) and 20 (0.3%) respectively, closing at 6730.5 and 5,971.1. At IFB, over 3.83 billion securities valued at $201.05 million were traded, with the number of traded shares and trade value increasing 42% and 35% compared to the previous week respectively. IFB’s market cap gained $536.9 million or 3% to reach $18.18 billion. Its First Market witnessed the trading of 482 million securities valued at $12.40 million. About 1,578 million securities valued at $64.50 million were traded in the Second Market. Over 11 million debt securities valued at $86.11 million were also traded at IFB, showing an increase of 16% in volume and 19% in value. Exchange-traded funds' transactions reached 43 million worth $6.93 million, registering a decrease of 26% in volume and a 29% downturn in value. Housing Mortgage rights registered a 42% rise in volume and a 38% increase in value, as their trade reached 400,000 shares worth $2.78 million.